Maureen solves the traveling gift givers problem with meaningful stocking stuffers from the Holiday Shops at Bank of America Winter Village. When holiday shopping for other people, I prefer the one-and-done method: buy one nice item, and cross that person off the list. However, these nice gifts tend to be larger in size, which makes me feel like a pack mule as I sweatily transport all the gifts with me to my holiday celebrations in Philadelphia. Too often I have been the person struggling to fit unwieldy gift packages in the Amtrak overhead compartment, nervous about crushing them and worried that I'll forget the items when I exit the train. So this year I'm trying something new. My favorite kind of holiday gift to open is not the big-ticket pair of boots or zippy new electronic device, but rather, stocking stuffers. So many different experiences fit inside a Christmas stocking: a pair of kooky socks, a nice travel-sized hand lotion, or a chocolate bar in an off-the-wall flavor. The gifts range from useful to ridiculous to thoughtful, which is why stocking stuffers are so much more fun than a single gift. This year, I want to lessen my load on the train and give the breadth of gift experience that only stocking stuffers can provide. Here is what I picked out for some of my family members. Now, I can throw these items in my bag and head over to Penn Station! 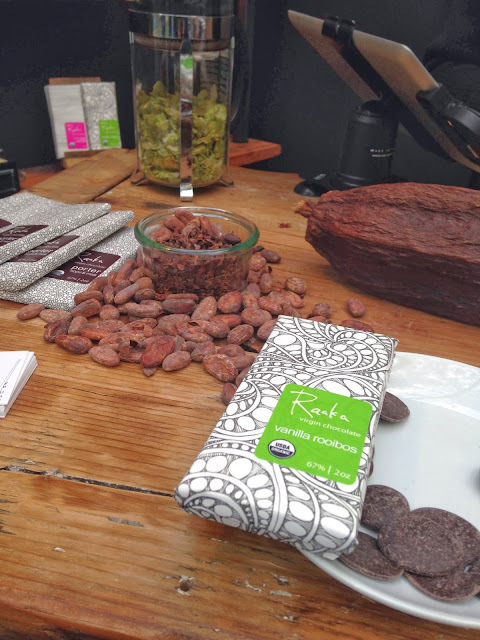 The raw, virgin chocolate from Raaka Chocolate travels well and my mom will love the unusual flavors like Vanilla Rooibos. Even better, I was able to sample most flavors before buying, so I could be sure I was getting the right bar. Buunni Coffee can't be crushed in my bag, and is a gift that my dad will be able to use as part of his morning routine. 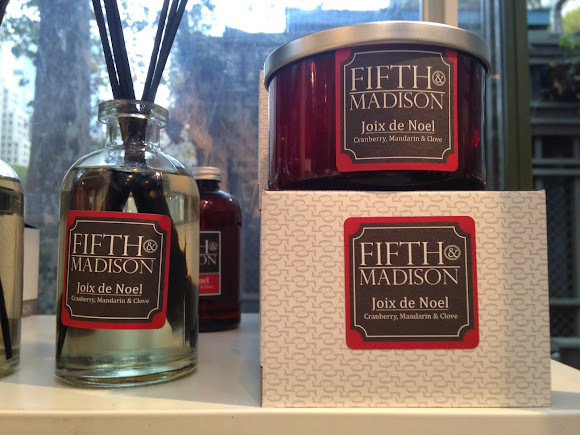 Nothing screams Christmas like a Joix de Noel scented candle from 5th & Madison. Perfect to put my aunt in the holiday spirit! 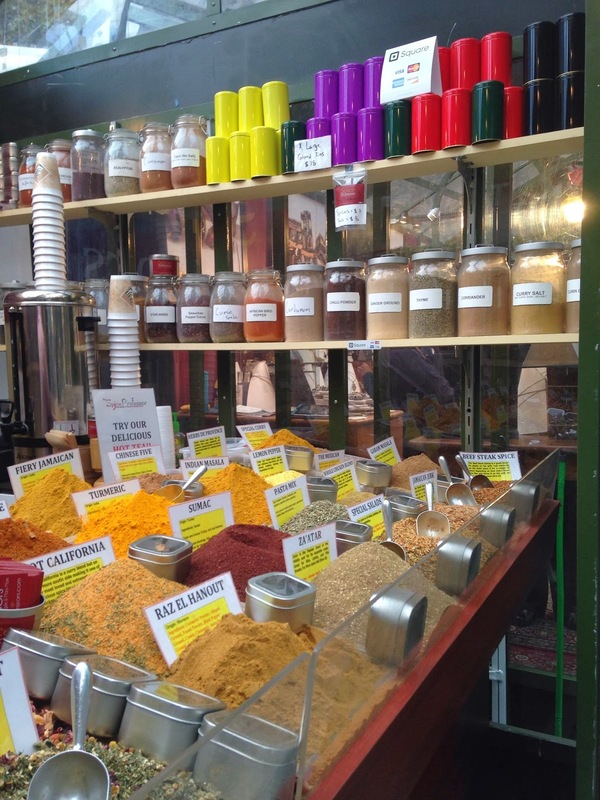 My sister loves exotic flavorings, so a purchase from Spice Professors was perfect for her. 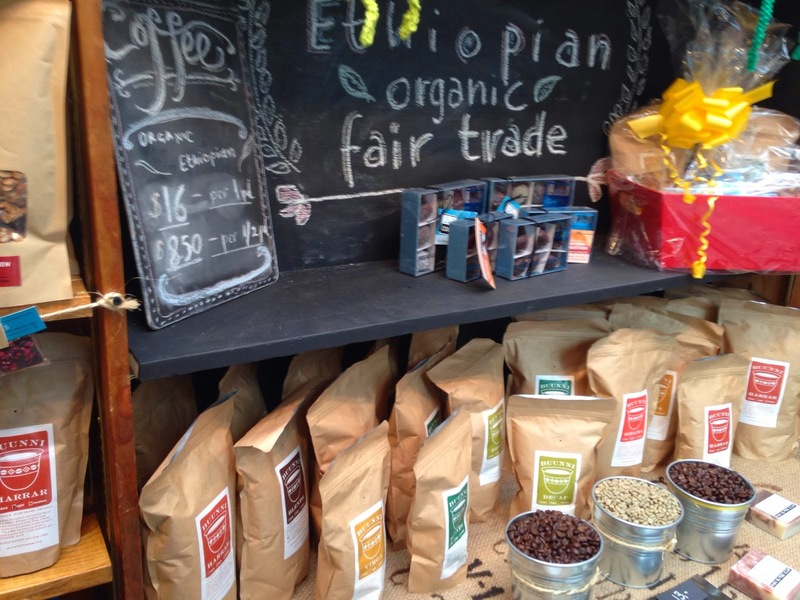 The za'atar spice mix I bought her is the kiosk's best selling item, and is lightweight--perfect for throwing in my overnight bag!